Horticulture and machinery will be the focus for a new mart in Cheshire. 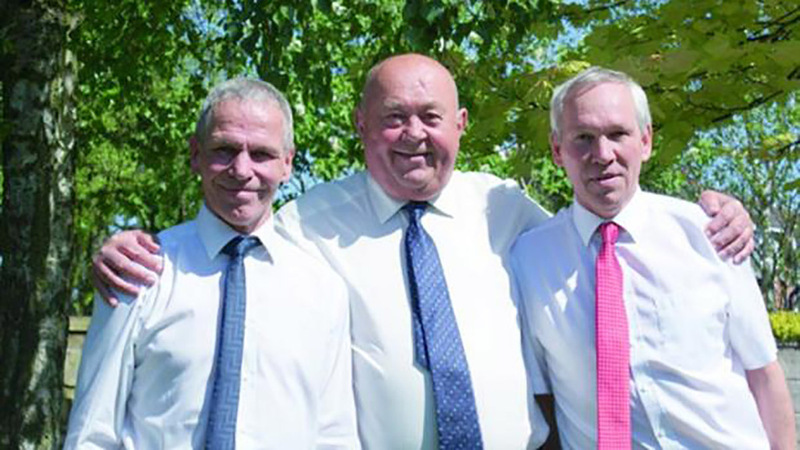 Neil and Nigel Ashley have teamed up with Roy Waller to open Ashley Waller Auctions at Lower Withington, ‘in the shadow’ of the Jodrell Bank telescope. Neil Ashley said he had spoken with local people and was confident the demand was there for a new market. “I have had a lot of people saying we have got so much experience, you could do this. We have over 100 years’ collective experience and all three of us have sold horticulture before,” he said. It follows the closure of Chelford Market in March after 106 years after its landlords decided to sell the site for development. In Farmers Guardian’s letters page last week (May 5), R Moss, Macclesfield, said he felt ‘gutted’ by the closure of Chelford Market which had previously been a ‘hub for farmers’. But the new market has opened just a few miles down the road from the former Chelford site. While it does not have facilities for livestock auctions, the market will have regular auctions of horticultural items and a monthly sale of machinery and farm implements. It will also hold a weekly sale of furniture and antiques as well as house clearances. Mr Ashley said he had been encouraged by a good entry of items for its opening sale. The auction held its first horticultural sale on Wednesday, May 10, with the first machinery sale to be held on Wednesday, June 14.